Today’s public safety communications are entering a period of significant change. Where once the humble radio was the sole means of communicating in firefighting and police incidents, the smartphone is now the de facto choice of public servants enabling them to communicate better and work faster. But the smartphone is only part of the story. An end-to-end public safety broadband network has to be established moving beyond today’s clustered, limited and unconnected networks to end-to-end, ubiquitous, extensible connectivity for any public agency at any time. Three factors determine QoE in MCX solutions – the network, devices and system (network plus devices). The network QoE factors depend upon availability, bandwidth/speed, priority and pre-emption. Turning to factors affecting QoE bandwidth/speed in MCX solutions, capabilities for file and video sharing demand additional bandwidth from a network to avoid the risk of group communications overloading it, eMBMS/multicast capabilities and it is essential that network delays be minimized at all costs. On the two remaining factors affecting the best possible QoE experience in using MCX solutions, priority and pre-emption, Softil believes that mission-critical/public safety traffic should be prioritized over all other traffic with guaranteed bandwidth allocation and that when necessary, non mission-critical communications should be pre-empted. There are six standout features affecting the device QoE – ergonomics such as buttons and controls, connectivity, audio quality, video quality, KPIs and UI. For connectivity issues affecting QoE factors, MCX/LTE/5G handsets will rely upon assisting devices for Bluetooth, NFC and ProSe for example. Device QoE factors for audio quality are numerous and MCX devices must include features for acoustic echo cancelling, automatic gain control, noise suppression and adaptive jitter buffer. When delivering audio over unmanaged networks, devices must allow for packet loss concealment, forward error correction and have quality audio measurement tools such as MOS scores, PESQ and POLQA. On factors affecting QoE of video quality in MCX devices, again six factors stand out – their ability to manage packet loss concealment, rate shaper, packet loss recovery, forward error correction, scalable video coding and bandwidth loss prediction and management. Four KPI factors affect device QoE – MCPTT access time (must be less than 300ms), end-to-end MCPTT access time (<1,000 ms), mouth to ear latency (<300ms) and late call entry time (<150ms without application encryption and <1,000 ms with encryption). Turning to QoE factors affecting the User Interface, device manufacturers should make it easy for first responders to push a button on a handset on the run and when wearing gloves. They should also harness the great potential of virtual reality/augmented reality. QoE factors on any system are predominantly KPIs, LMR interworking, continuous operation, full system design integration (situational awareness) and even fuller design (IoLST). It should be remembered that a network is part of all KPIs. Three factors dominate QoE when it comes to LMR interworking – seamless connectivity, audio quality and location sharing. System QoE factors for the continuous operation of a network must allow in-building coverage, direct mode (device-to-device or D2D), isolated operation for public safety and the seamless and instant interconnection of mobile networks. For full system operation, devices should allow single sign-on, provide cartographic and location services, ensure end-to-end security, address any large scale deployment issues and allow mobile broadcasting. Full system QoE factors are essentially brought about by the Internet of Saving Things (MCX plus IoT) and smart things such as vests, sensors, cars et al. 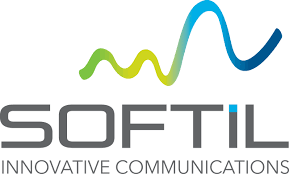 With all these QoE factors in mind, Softil has developed its BEEHD client framework specifically for device manufacturers to develop customizable MCX communications tools with a focus on QoE. BEEHD is 3GPP Release 15 compliant, provides modular and layered architecture, is intuitive and easy to use, ensures interoperability of devices amongst many other features such as the use of an HW codec and algorithms to preserve battery life and improve quality. The unique BEEHD solution has a rich modular architecture and allows device manufacturers to mix and match components to develop a specific solution for a specific application. Softil’s MCX approach to MCX can be summarized as leading the way to true MCX based on open standards and ensuring the interoperability of devices.